The process of refining raw sugar begins with the Mingler. 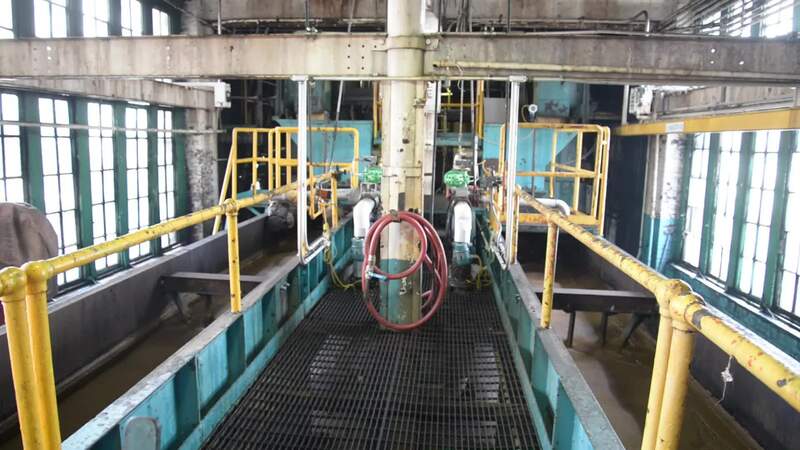 This is a large mixing trough where raw sugar is blended with a combination of molasses and warm water, known as Affination Syrup. The sugar crystals rub against each other which loosens the outer molasses coating each crystal, improving the washing. The product of this mixing is called Magma and looks like a thick, dark brown slurry. It is mixed at a temperature of 107.6 degrees Fahrenheit.